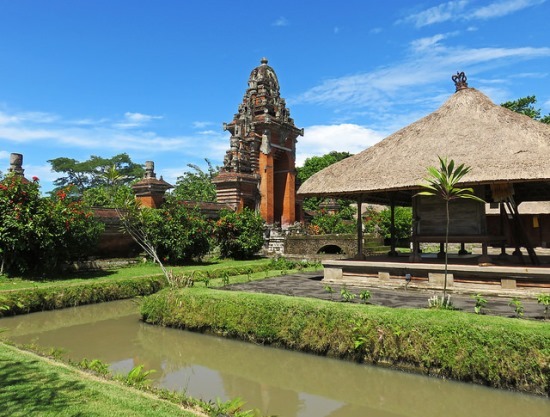 Pura Taman Ayun or Royal Temple of Mengwi is one of the most important temples in Bali. 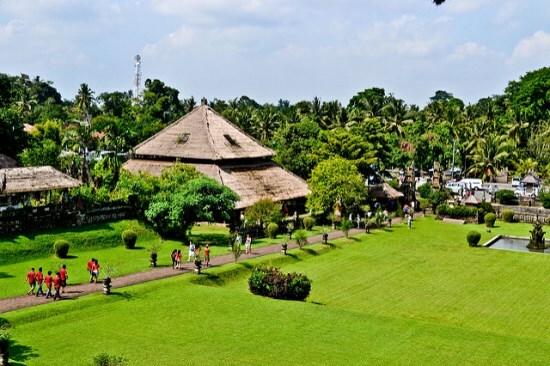 Built in 1634 by a King of the Mengwi, I Gusti Agung Putu, this impressive complex stands on an island in a river, its inner temple surrounded by a moat. Pura Taman Ayun literally means ‘Garden Temple in the Water’. This temple was built as a series of garden terraces with courtyards on different levels (outer, middle, and inner). The entire complex was designed to symbolize the mythological home of the gods, Mount Meru, floating in the sea of eternity, with different levels of java (courtyard). 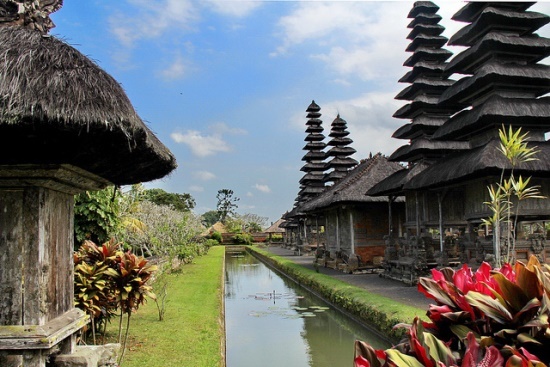 The temple was rebuilt in 1740 and restored in 1937 by Bali Government. Pura Taman Ayun is bordered by several broad canals and it can only be entered via a bridge leading to a richly ornamented candi bentar, the gate which gives access to the outer courtyard (jaba) of the temple. Taman Ayun temples have beautiful park with trees and ponds. We can see small rest house called wantilan. 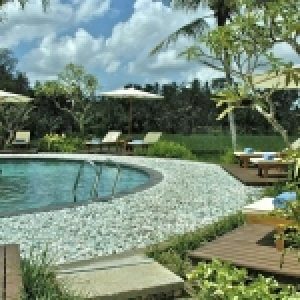 This rest house using for religion ceremony and sabung ayam (chicken fight). 2. Wow, it is a beautiful fountain! After passing candi bentar, we can walk through a straight paved footpath leads to the main park with a fountain exactly in its center. There is nine fountains here, four in the center, and the other five was located between the first four. The total of nine fountains here symbolizing the Dewa Nawa Sanga, the nine main gods of Balinese Hinduism. A very beautiful fountain! On the southwest side, there is a round bale, where we can sit for a while and enjoy the beauty of the temple. In the next round hall, we can see a pond filled with lotus flowers. In the east, there are a bunch of small temples called Pura Luhuring Purnama. 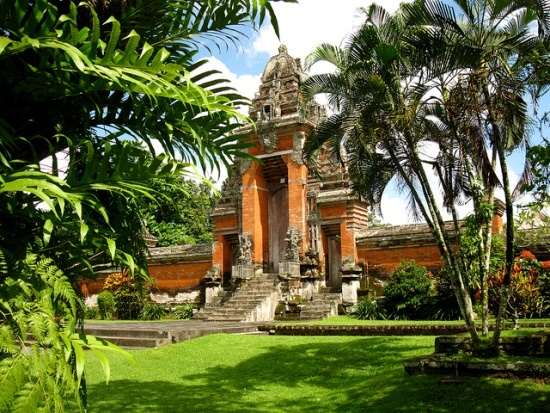 In the east, there is a small temple called Pura Dalem Bekak. In the west corner, there is a hall whose roof towering called Kulkul. After seeing the nine fountains, we can walk again through the footpath leads on to a second candi bentar. We will see the middle jaba, the more elevated, second courtyard of the temple. Inside the jaba tengah we can find jaba jero, the third and most holy courtyard of the temple. In jaba jero, we can find a number of five, seven, nine and eleven tierd meru’s. This jaba jero temple area is only accessible during important religious ceremonies, such as the Odalan Festival. Odalan is the day on which the inauguration of the temple is commemorated. Odalan in Pura Taman Ayun takes place every 210 days on a day called Anggara Kasih, the Tuesday of the week Medangsia of the Balinese Pawukon calendar. 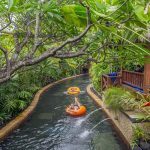 Pura Taman Ayun is located near the village of Mengwi in the south of Bali at about 8 km southwest of Ubud and 18 km northwest of Denpasar. 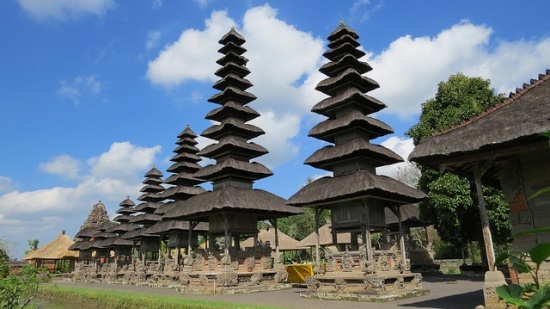 If you depart from the city of Denpasar, you can go to Pura Taman Ayun by Sunset Road to Mengwi Badung. The travel time by car is about 40 minutes. See also: Rent a car in Indonesia. 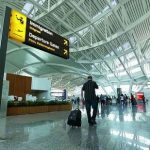 Besides that, you can take public transportation (bus or mini van) with Denpasar – Singaraja or Denpasar – Bedugul route. Then tourists can get off at a crossroads in the village of Mengwi, and then continue to Pura Taman Ayun main gate by walking 250 meters.